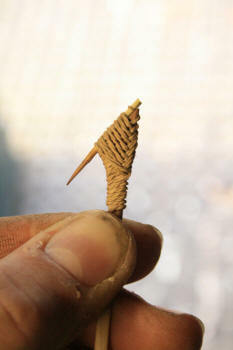 Find suitable thorns, in this example I used Black Thorn thorns. 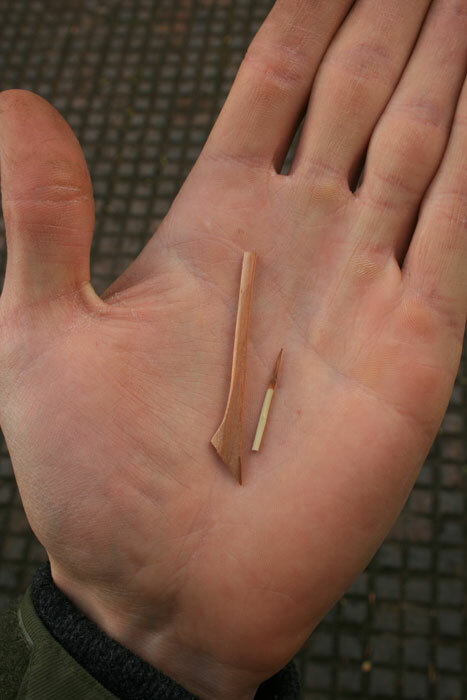 The sharper the better. 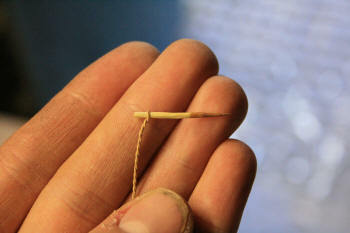 Be careful not to blunten the sharp tip of the thorns because this makes the hook so much more effective. 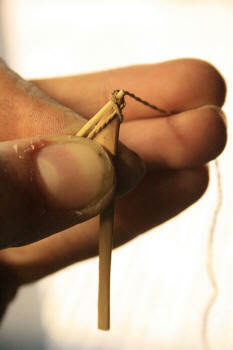 I scraped the thin bark layer off my thorn but this is not necessary. 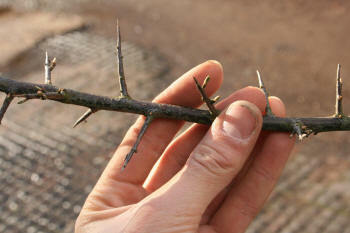 You can see how the tree has allowed the tip of the thorn to die so that it is harder and sharper on the end. 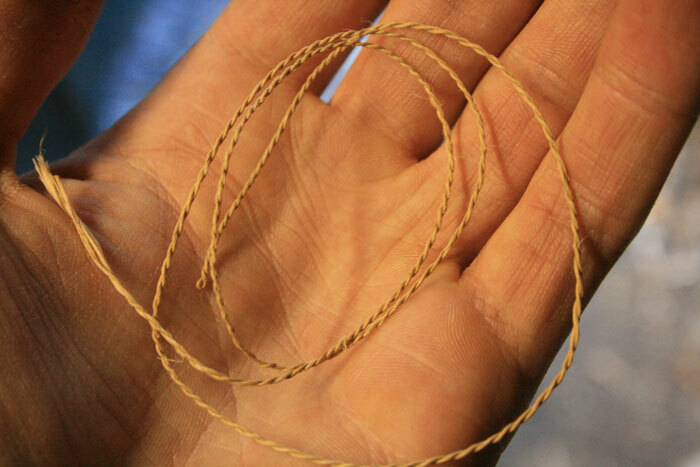 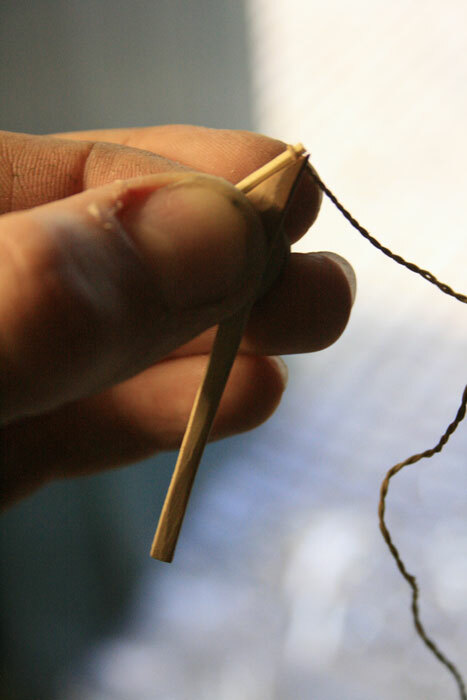 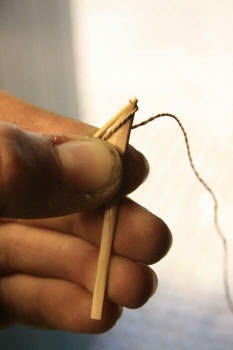 Make a length of very thin cordage or you can just use a plain length of some kind of strong fibre. 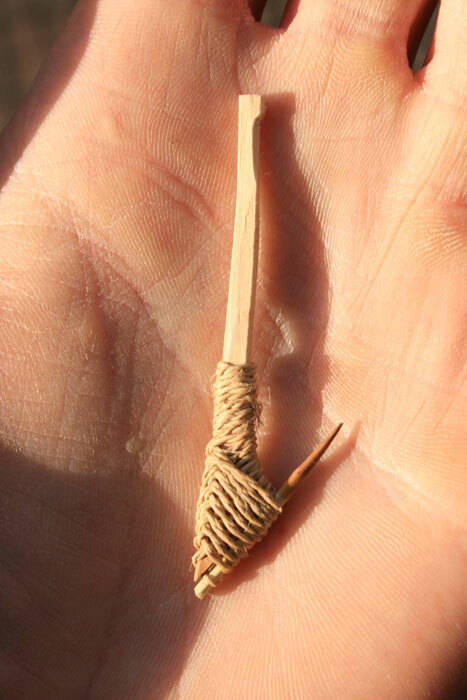 Put the thorn through the eye on the end of the cordage. Hopefully the following pictures explain themselves and show how to bind the thorn to the wood. 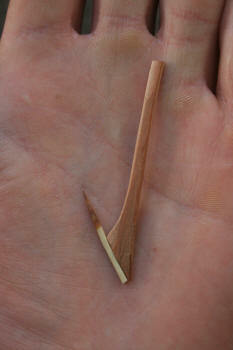 Finished hook... 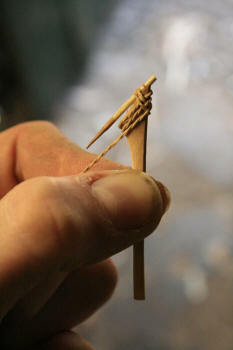 It would have been better to carve the top of the hook so that it is easier to attach the line.